The incident happened in Roberts Road, Silverstone last Wednesday. 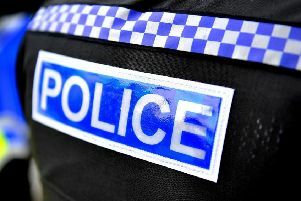 A Silverstone homeowner fought off two men in his own home and suffered minor injuries during an assault. Between 5.30pm and 5.40pm on Wednesday, November 14, two unknown men entered a property in Roberts Road, Silverstone, Northamptonshire Police today said. When they were disturbed by the householder, they assaulted him but he was able to fight them off, suffering minor injuries. The pair then fled via the back door without managing to take anything. A spokeswoman for Northamptonshire Police said: "The first man is described as 5ft 9in, of slim build. "He was wearing a black bomber jacket, black jeans and had his face covered. "The victim was unable to describe the second intruder." Anyone who saw anything suspicious in the area at the time, has information about the incident or recognises the description of the suspect, is asked to call Northamptonshire Police on 101. Information can also be shared with Crimestoppers in confidence on 0800 555111.